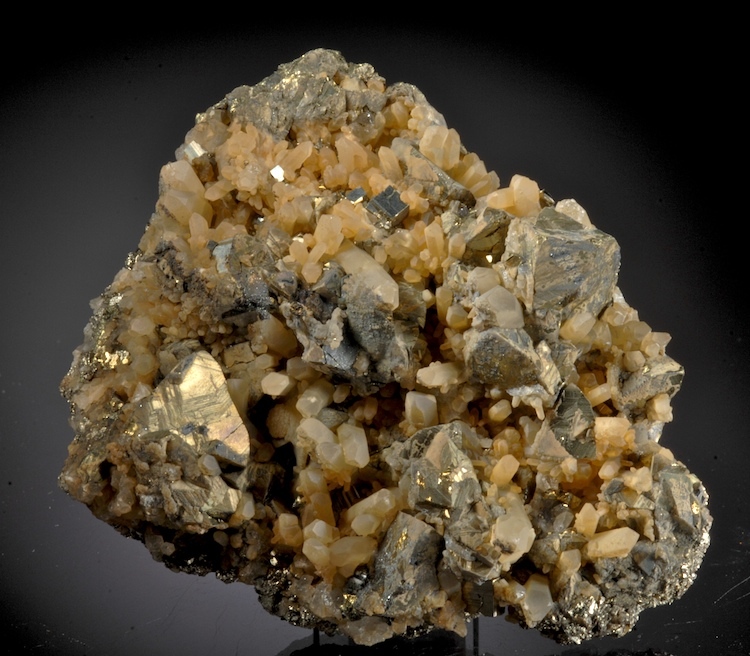 A killer Potosi Bournonite with large, perfect crystals showing classic form. Complete all around, a perfect floater with no matrix, just big metallic Bournonites in fine condition. 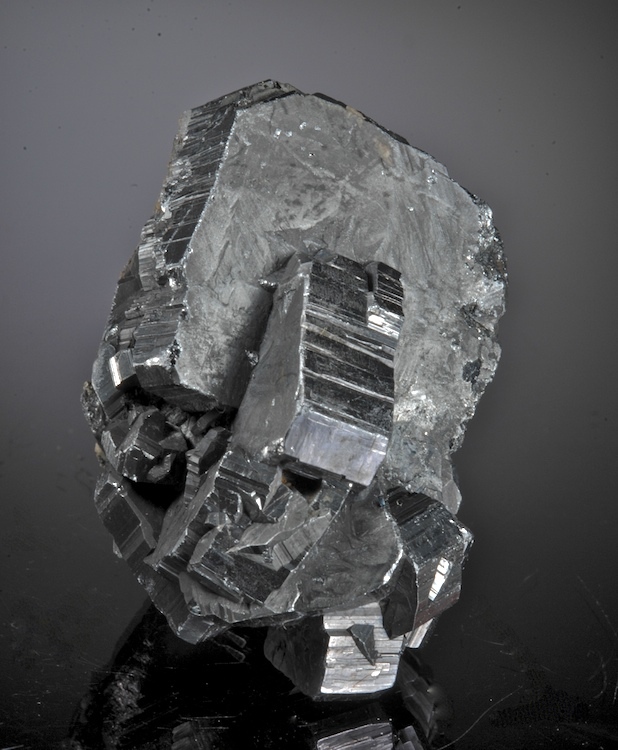 The largest crystal is a sizable 3.8 CM and all the crystals have a gleaming gunmetal luster. This is from the remarkable find in 2007-8 which had the very best Bournonites ever seen from Bolivia and some of the best ever found on the planet. This is very much a top percentile specimen from that discovery, a true top shelf piece. Sprays of yellow radiating Mimetites up to 3 CM long on contrasting nmatrix in an esthetic array. This is a complex specimen with several display angles and a vug with Mimetites partly coated with micro Arsentumebites. In good condition overall, some micro damage can be found with magnification but still displays very well. A really nice specimen of accicular Tsumeb Mimetite. A very fine plate of Cerussite crystals with minimal matrix from the great Daoping mine, which is world famed for great Pyromorphites. 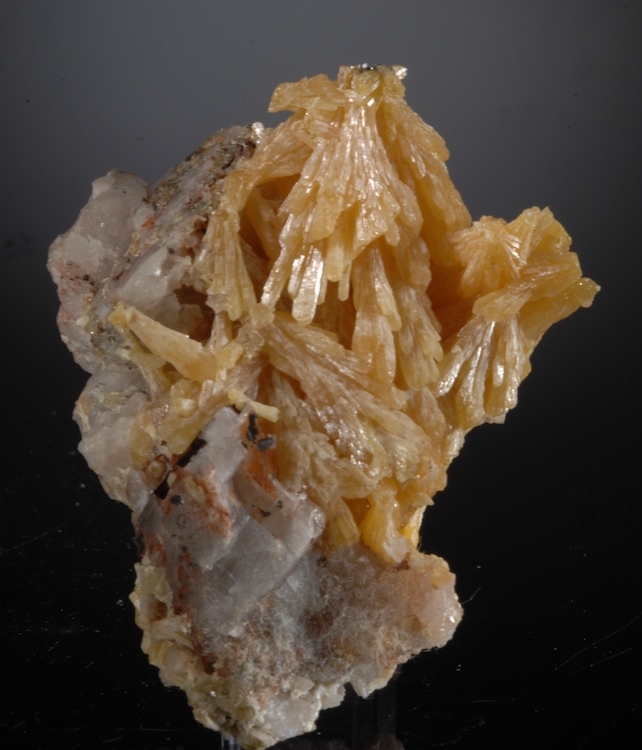 These crystals are in excellent undamaged condition and many are untwinned or are stacked vertically in parallel arrangements with is quite rare. Ex Shield Flynn collection obtained from Bert Ottens, during the period when this area was producing. 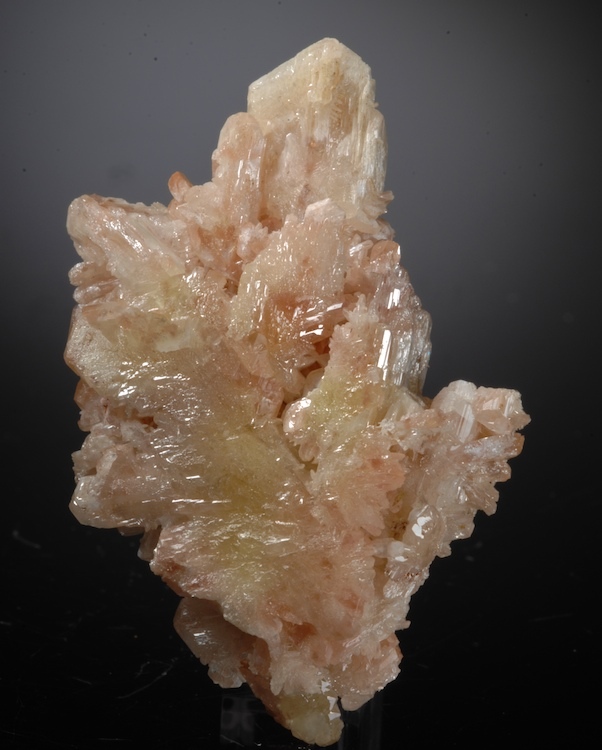 No more have been available for a few years now Cerussite are up to 2 CM long, translucent yellow and lustrous. 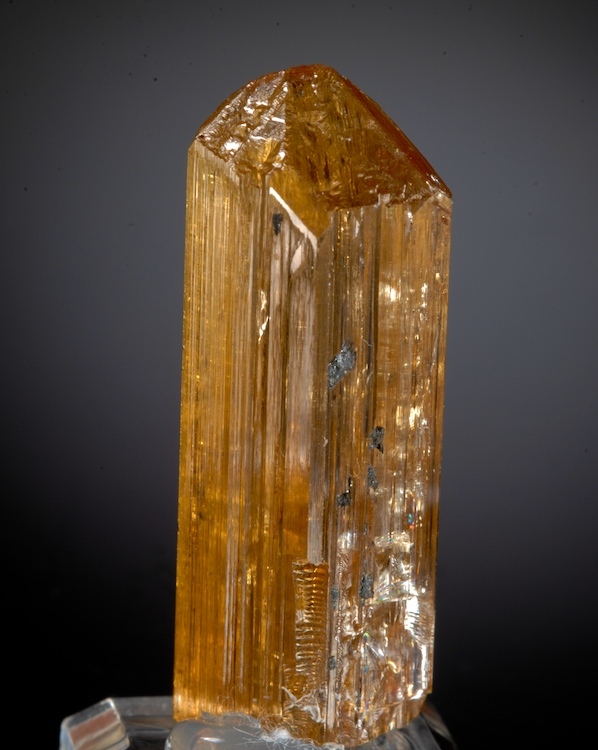 A single Imperial Topaz crystal with traditional color and far above average clarity. In fine condition and mostly gem grade. The color is yellow-orange with a slight hint of red zoning. From the Antonio Pereira area of Ouro Preto, this locality has almost two centuries of history for Topaz finds. This has the most classic and distinctive look for the area but is considerably better than typical quality, form and color. 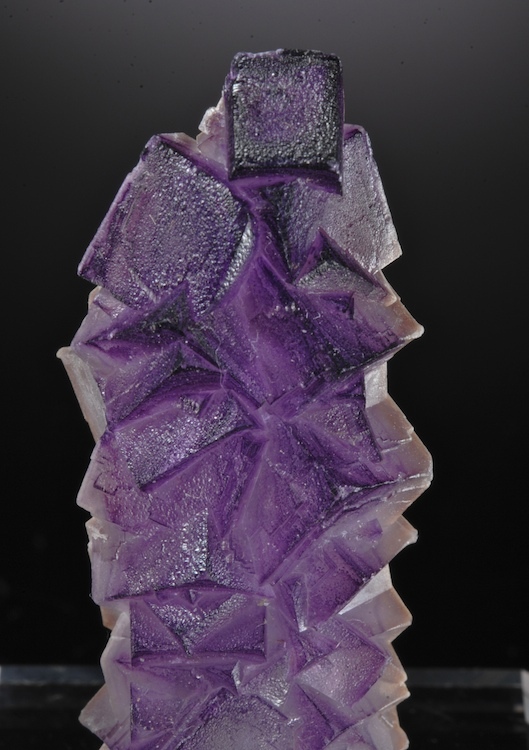 Deep purple color Flourite cubes in a chain arrangement. From the recent find of stacked or stalactitic Fluorites which had originally formed over Stibnite crystals that no longer present. 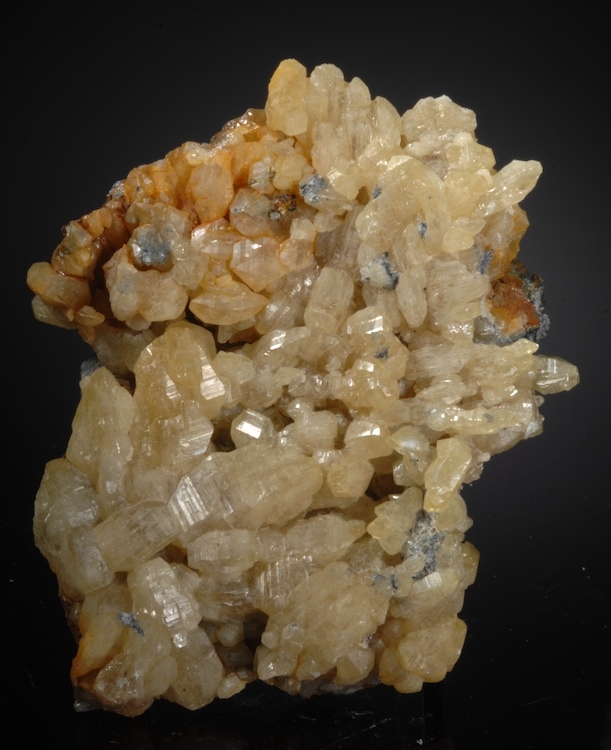 Some edges have an epitaxial coating of Barite that makes a nice contrast. In fine condition and very esthetic. This was a very small find and few had this intense color. 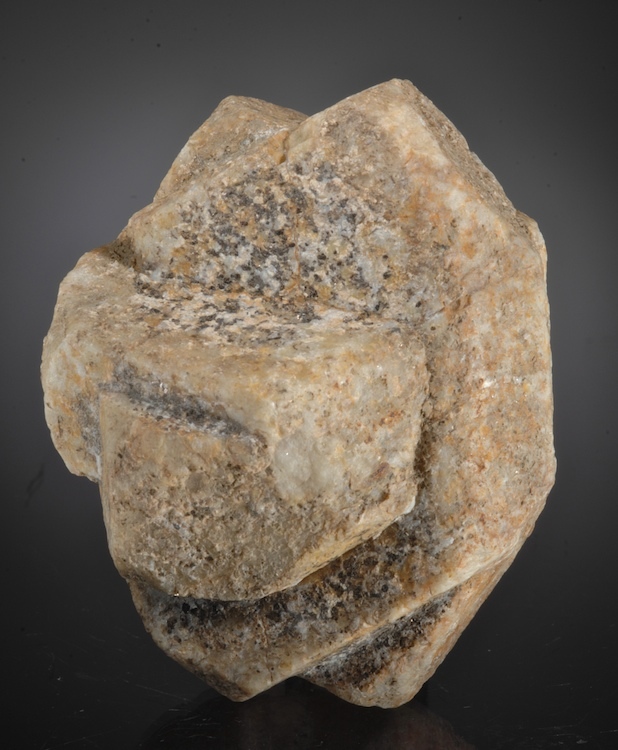 From the original Karlsbad, this is a perfect Carlsbad twin of Orthoclase. The twin is a complete floater 360 degrees without comtact. There is a second twin perched in the center of the specimen, making this a twin-twin to coin a phrase. This habit got its name from early finds at Karlsbad and this is a textbook perfect example from an old Czech collection.